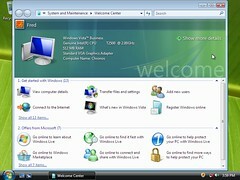 The following link contains the full instructions for a Windows Vista installation, rather it be a clean install or a reinstallation. If you are doing a reinstallation, your files are automatically saved in a windows.old folder that you can migrate to your new os after the install. Instructions are included in the link.